Video games are a powerful medium. Gone are the days of them being a simple pass time of floating paddles or mindless 16 bit races. Games have depth, character, narrative, and the ability to draw real emotions from the player. They are an experience that brings us together, whether playing side by side on the couch or retelling shocking boss battles the next day. It’s an industry that has become a community that for the most part is incredibly supportive. With that in mind, Extra Life was born. COGconnected will be participating in Extra Life once again this year to raise funds for sick kids, and we can’t do it without your help. If you are curious what kind of content to expect from us, check out this hour long gameplay from our very own Derek Miller as he sinks his teeth into Hollow Knight. 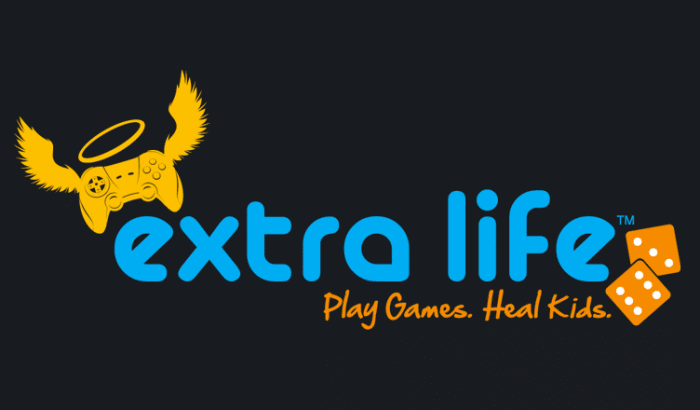 Extra Life started in 2008 as an online movement to raise funds for sick kids across all branches of the Children’s Miracle Network Hospitals. Good-hearted gamers from the team at COGconnected will be streaming gameplay for 48 hours to raise funds for the BC Childrens Hospital. COGconnected is based out of Vancouver, BC with a number of our staff living in the area. This is a cause near and dear to our hearts as many of us know friends and family who have had to rely on the BC Children’s Hospital who have done amazing work in helping kids in need. Last year we raised $1500 for the foundation, and this year we need your help to beat that goal. Please join us this weekend on Twitch and YouTube and donate whatever you can to help us help the kids. Please click here to head to our Extra Life 2018 official page and help us reach our goal, and as always if you like our content or just want to mock Derek about his performance in Hollow Knight, let us know on Facebook, Twitter, or the Comments section below. On behalf of everyone at COGconnected and the BC Children’s Hospital, thank you for your generosity.